On the recent Lion’s Arch Radio podcast, one of my favorite Guild Wars 2 podcasts, the question came up about what type of morality people tend to play during games and why. While this question can apply to MMOs, it can easily apply to other video game RPGs, and it is certainly relevant whenever you discuss traditional pen and paper roleplaying games. Some players are habitual heroes, constantly answering the call of duty and honor regardless of what setting they’re in. This group of people either can’t imagine playing evil characters, or just aren’t comfortable with the idea. Perhaps their own moral compass won’t allow them to take actions that they wouldn’t take in real life. Perhaps they just don’t understand that not all evil is homicidal psychosis. In fact, I think the greatest challenge and satisfaction of playing an evil character is realizing that concepts like good or evil are subjective, and everyone is the hero of his or her own story. Everything has a beginning. Some villains were once normal, well-adjusted individuals who were victimized by violence or circumstance. Some realize that desperate times call for desperate measures. Some are fully aware of the nature of their actions, but believe the greater good is being served. Others still are jaded realists, hardened by their surroundings and experiences. They’ve learned that honor, valor and decency are traits than can get you killed… just ask Ned Stark. Darth Vader thought he was brining order to the galaxy, ending a destructive civil war. Dexter Morgan is a serial killer who stalks other murderers, if only because some good comes from giving in to his compulsion. 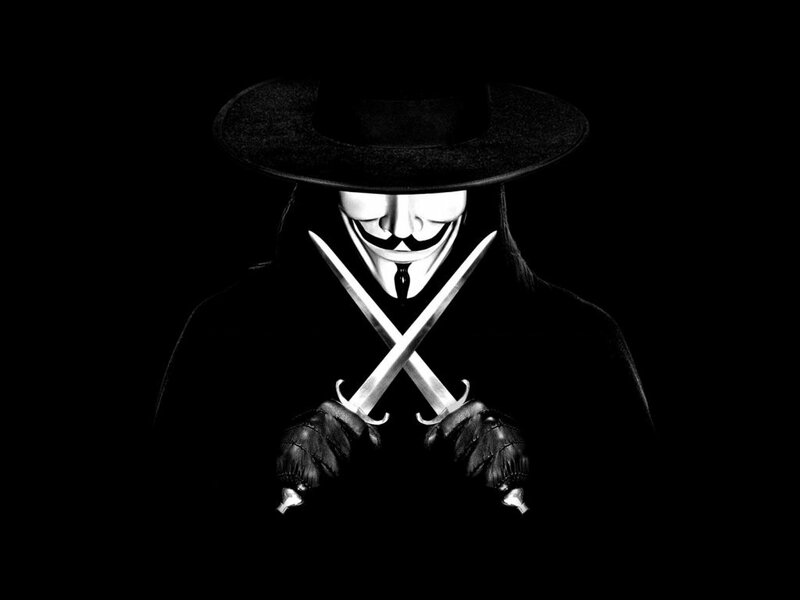 In V for Vendetta, the protagonist is a hero at heart who commits heinous acts in order to avenge an entire society victimized by a tyrannical government. Each of them can kill without flinching, and each feels perfectly justified in their actions. Another reason people enjoy playing evil characters is that they’re so much fun! Villains aren’t restricted by the rules of society like the rest of us are. Might makes right! How many times have you played a good character and really been tempted to bend your morals in order to accomplish your goals? How many times has someone offended or insulted you while you kept your sword sheathed or gun holstered? How many times have you had your enemy at your mercy, only to have that mercy come back to bite you later on? Sure, Batman is a hero, but how many innocents have died as a result of his inability to kill the Joker? I know my favorite characters are ones who fall into grim realism. There is a threat out there, an evil much larger than anything most people can imagine. They are unprepared. They talk of action, yet never take any. This evil doesn’t have morals or mercy. It doesn’t feel pity or remorse. It cannot be bargained with or reasoned with, and it will not stop until it destroys us all. Fortunately, our hero knows the secret to victory lies in fighting fire with fire. No pity. No remorse. No rules. It’s just survival. Sometimes doing the right thing means doing a lot of wrong things. Hey! Wait a second! Those are all good guys! Are they? Or are we just sympathetic to them based on how they are portrayed? 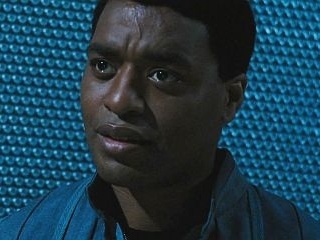 How many innocents would Kyle Reese have let die if it meant protecting Sarah Conner? Morpheus had no remorse killing innocent people who were still plugged into The Matrix because, as he told Neo, ” if you are not one of us, you are one of them”. McClaine took matters into his own hands and risked the life of every hostage in the Nakatomi building in the process. Sure, it worked out in the end, but what if it hadn’t? Captain Reynolds is my favorite space cowboy, but threatening to shoot your friends unless they shut the hell up and secure the bodies of dead innocents to the outside of your ship isn’t exactly his finest moment. In the context of the movie, he’s doing whatever it takes to accomplish his goal and put an end to a threat to the galaxy… but in that regard, how is he any different than The Operative he’s fighting against? "What I do is evil. I have no illusions about it, but it must be done." There is also a misconception regarding evil characters that they are horrible, monstrous individuals in everything they do. Not every antihero is a mindless, homicidal psychotic. Part of the challenge and enjoyment of creating such a character is grounding them just enough to make them sympathetic, despite the evil they’re capable of. In Watchmen, the character of Rorschach is sympathetic because he’s the only one fighting corruption by any means necessary. It is the indifference of society that allows real evil to fester. He’s a horrible, vile individual, yet he’s the only character in Watchmen who is unwavering in his honesty and sense of honor. 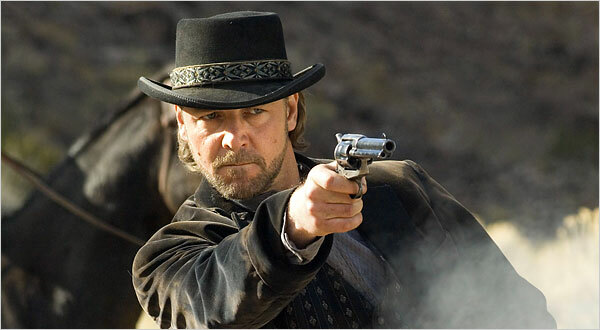 In 3:10 To Yuma, the outlaw Ben Wade leads a ruthless gang of cutthroats and bandits. He’s charming and charismatic, and even likable at times. But as he tells the impressionable son of William Evans, “Kid, I wouldn’t last five minutes leading an outfit like that if I wasn’t as rotten as hell”. Despite his criminal nature, he still manages to respect the grit and determination he sees in William Evans, which certainly takes the ending of the movie in an unexpected direction. He empathizes with Evans and we empathize with him. We come to like Ben Wade. We even root for him at times. But he never once apologizes for what he’s done or claims to be anything else other than what he is. My favorite moment with Wade is when he kills a man for insulting his mother. He has plenty of other reasons to do it, and it isn’t like he’s a stranger to killing, but that triggering event somehow makes Wade more relatable to me. It may be warped, but the love for his mother is one of those universal common bonds we all share. "Even bad men love their mommas." In conclusion, my advice is if you’ve never played an evil character, you should really give it a try. Just think of a hero that rides the line between good and evil, and then give him a little nudge over the edge. If you’ve grounded him and made him a real flesh and bone person instead of just a guy wearing a black hat/armor/robe, you may be pleasantly surprised on how good it is to be bad.